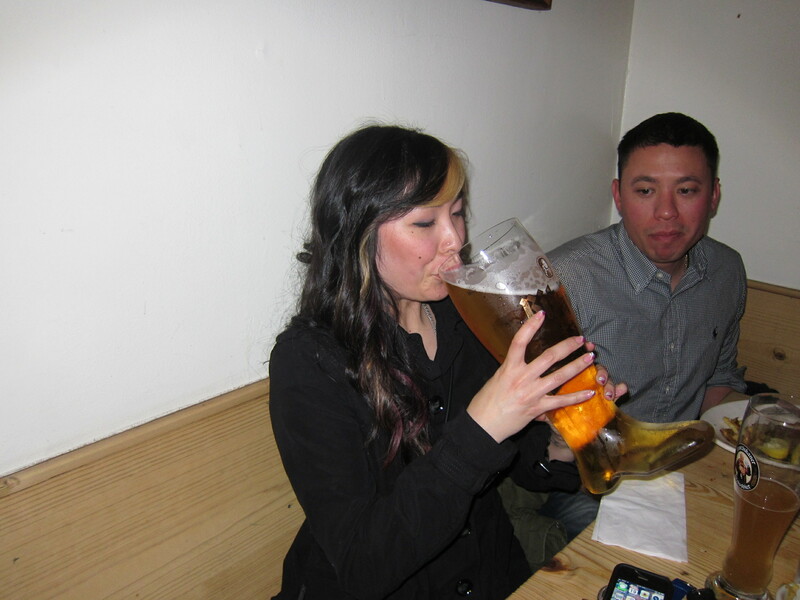 Last Saturday my friend Melissa and I stopped by Suppenküche, a German restaurant, for Black Out Bob aka Jae’s birthday. We had to be in San Jose that night so we didn’t really get to order anything off the menu. 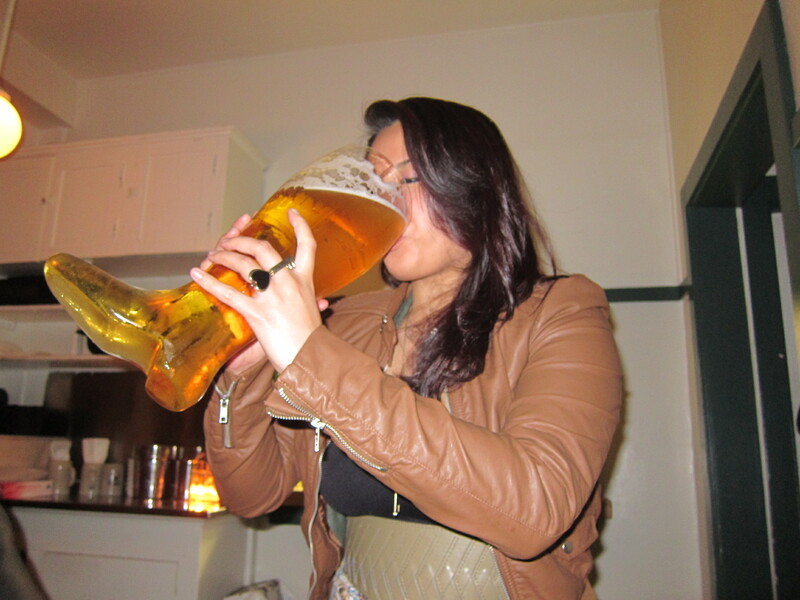 But we did get to drink out of a huge glass boot! 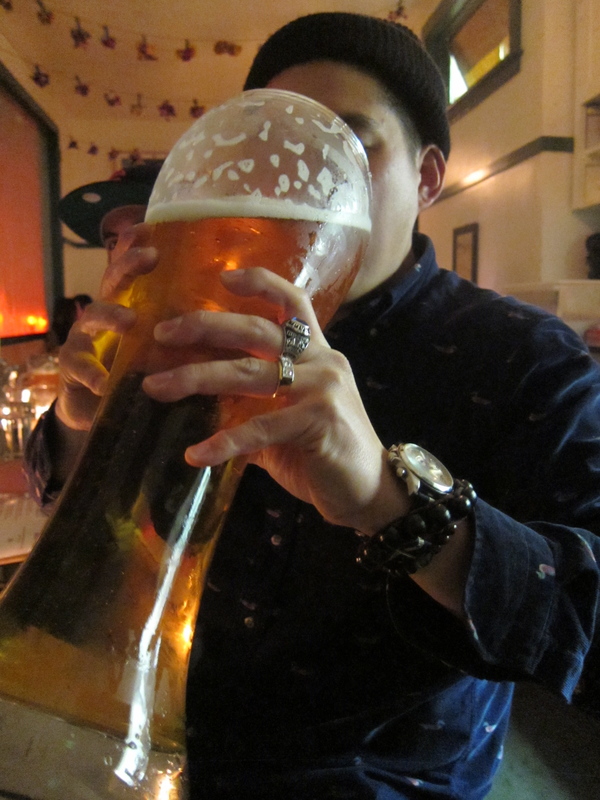 The boys of course started off with what I believe was a big 3 liter glass. Not sure on the size but they’re so big you have to hold them with two hands and pass it around the table so that everyone can drink from it. We did however get to taste the potato pancakes which were tasty. The boys ordered things from breaded wiener schnitzel’s to meatloaf and the food looked delicious. You know we had to have a little taste of their food! 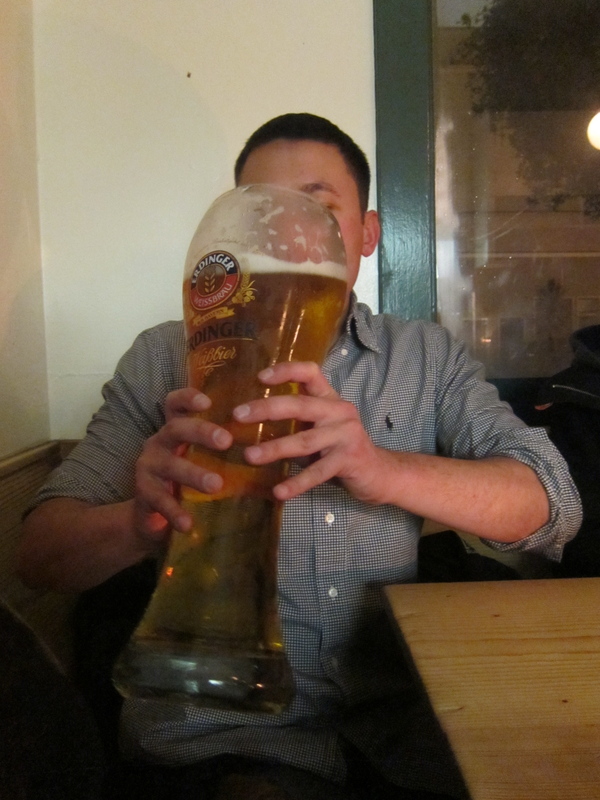 It’s definitely good and I can’t wait to go back to have a full meal there…along with a das boot!